Brenda is a Community Resource Coordinator with Generations, Area 13 Agency on Aging & Disability. She can be reached at bhancock@vinu.edu. 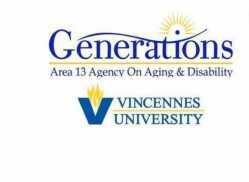 Generations, Area 13 Agency on Aging & Disability, is a program of Vincennes University’s Community Services Division. Our agency connects individuals and caregivers to community resources and options for long-term care and in-home services. For more information, call 1-800-742-9002 or 812-888-5880 or visit our website at www.generationsnetwork.org. New Medicare cards: What do you need to do? Are you over 55 and looking for something to do? Medicare Open Enrollment Happening Now!